Home > Entertainment & Food, Food News, Food Pictures & More, Local Events, Orange County (OC) Reviews	> Annual Guaranteed Fun At The Orange County Fair: We’re In. Annual Guaranteed Fun At The Orange County Fair: We’re In. It’s happening now through Sunday, August 13, 2017 and you don’t want to miss it. We never do. The Orange County Fair has much to offer adults and children alike. And it’s a great place for those adults who act like children, though we don’t know anyone like that. 😉 See you there. Santa Maria BBQ Is Now Open In Buena Park: Red Oak Wood Style. 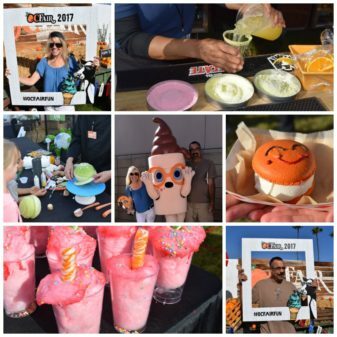 The 2017 OC Fair Goes Gourmet And We’re Set To Substantiate That.